Ownership / Access: Now the Touriseum, a museum of tourism. Notes: Trauttmansdorff Castle is a castle located south of the city of Meran, South Tyrol, northern Italy. It is home to the Touriseum, a museum of tourism and since 2001 the surrounding grounds have been open as the Trauttmansdorff Castle Gardens, a botanical garden. 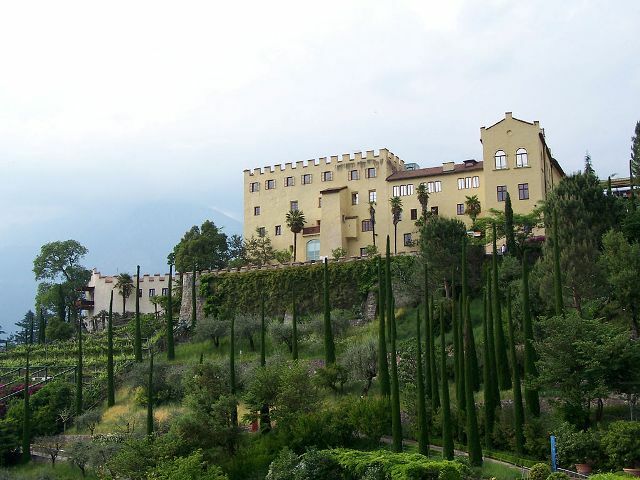 /it/ During the years of fascist Italy the castle was called di Nova Castle (Torrente Nova is the name of a little brook near Trauttmansdorff).